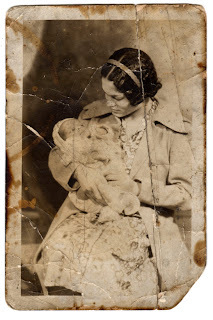 This was taken in 1938 - the baby is the gentleman who contracted with me to restore these photographs of his mother. I'm especially fond of this image. 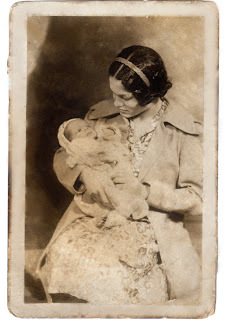 His mother's hair, the headband, the quiet expression on her face - together illustrate the wonder of holding your new baby boy.